You all know the importance of USB in our Tech life. Once, OTG Cable was only used to connect your android device to Pen drive. Today, I will show you Top 10 Uses of USB OTG Cable that will blow your mind. So, let us start with the introduction to USB and OTG. USB, Short for a universal serial bus, is an industry standard that defines cables, connectors and communications protocols for connection, communication and power supply between computers and devices. In simple words, USB is a plug-and-play interface that allows a computer to communicate with various devices. There are 3 versions of USB till date: USB 1.0, USB 2.0, USB 3.0. If you want to know more about USB, Click Here. OTG means (USB On-The-Go). It allows devices such as smartphones and Tablets to act as a host. USB OTG Cable allows other USB devices to connect to those hosts (smartphones and tablets). If you want to know more about OTG, Click Here. We all know we can use USB Keyboard with a desktop computer. You can also use it on your android devices, thanks to USB OTG Cable. 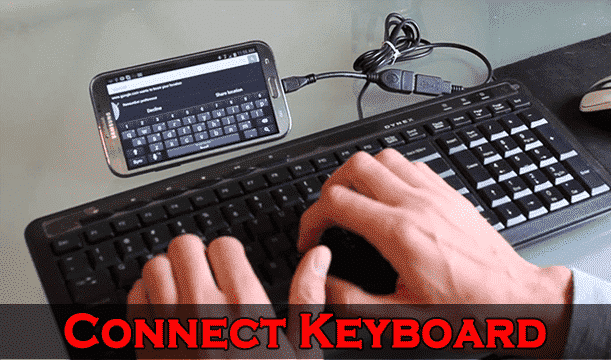 Connecting USB keyboard to an Android Device using USB On-The-Go cable is as simple as plug-and-play. just connect one end of otg cable to the android device and on the other end connect USB keyboard. We can use USB keyboard on a smartphone, to write articles for a blog or making notes or while chatting on social messenger apps. USB Mouse is another device which is used with desktop computer or laptop. We can connect a mouse to Android device using USB OTG Cable. Mouse makes it easy to scroll pages, or it is handy for small screen smartphones. 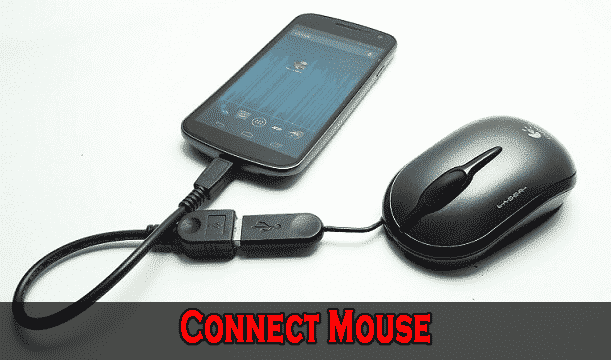 Connecting USB Mouse to the android device is similar to connecting USB keyboard. USB Fan is a handy tool which can be used while traveling or if you are feeling hot. Amazingly you can use USB Fan with Android Devices using OTG Cable. USB Fan itself is a superb creation, and USB otg cable make it more easy to use. It’s effortless to use, connect otg cable to android device and USB fan to otg cable. Nowadays there are 2 in 1 USB Fan available on Amazon site; it has Micro USB Port as well as Apple Lightning Port. So, you can use it for Android Device as well as with iPhone. 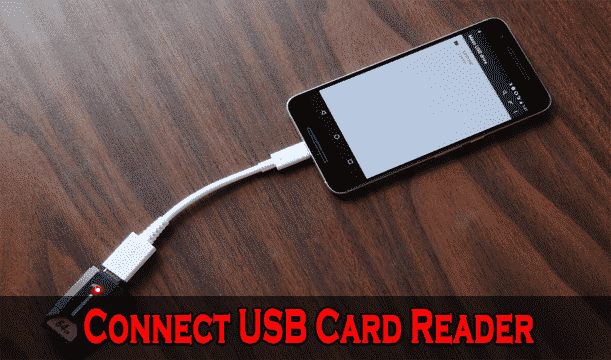 Another use of USB OTG is that you can connect USB Card Reader to Android Device. Card Reader is handy when your smartphone is running out of memory. Just insert sd card to USB card reader, connect the card reader to Android Device using On-The-Go cable. Transfer some data from your device to external sd card and free up some space from your mobile. Everyone loves to play games on smartphones. But, sometimes it becomes difficult to play some games such as Asphalt 8: Airborne racing game or Modern Combat 5 due to small screen size. Xbox 360 Game Controllers are very comfortable to play such games. 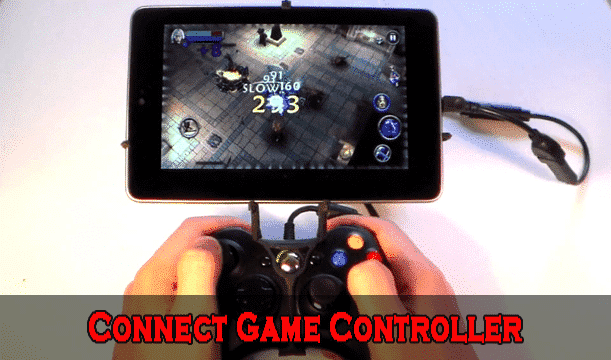 Using USB OTG Cable, you can connect the game controllers to your Android Device and its simple as plug-and-play. 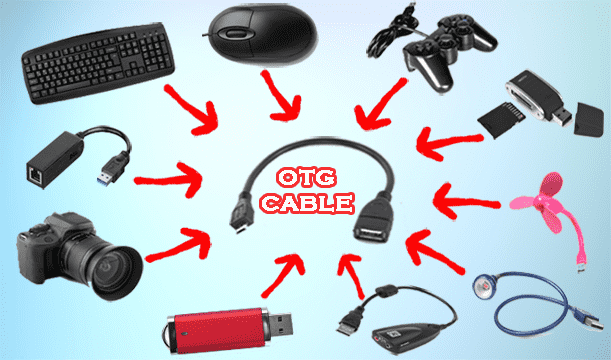 Connecting game controller is one of the fantastic features of OTG Cable. You can enhance your gaming experience on your Android Device using Xbox 360 Game Controllers and USB OTG. Note: If you have rooted android device, you can also use PlayStation 3 controllers. USB Light is an advantageous invention. It can be used at night time; you can do your work at night without disturbing the person sleeping near you. You can also use it during an emergency like a power outage. 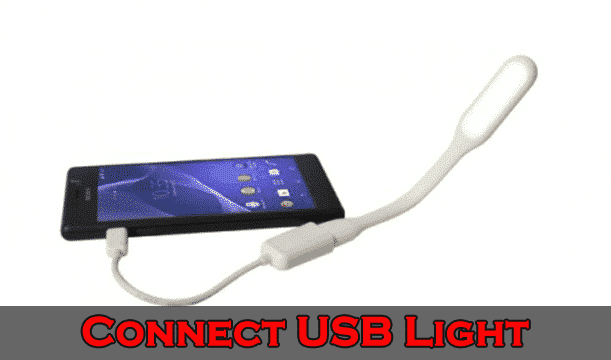 Connecting USB light to Android Device is very simple. Connect OTG to your device and USB light to your otg cable. Don’t worry if you have Broadband Connection but don’t have a router in your home. 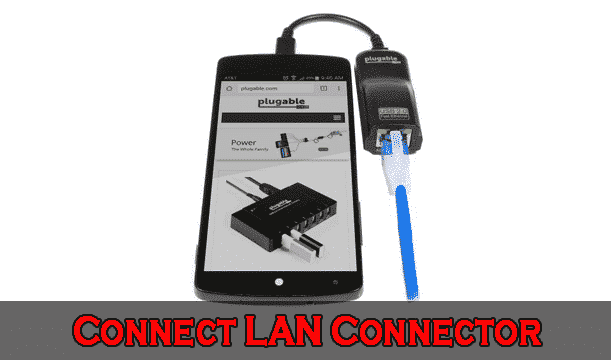 You can still connect your smartphone to the internet using USB Lan Connector. 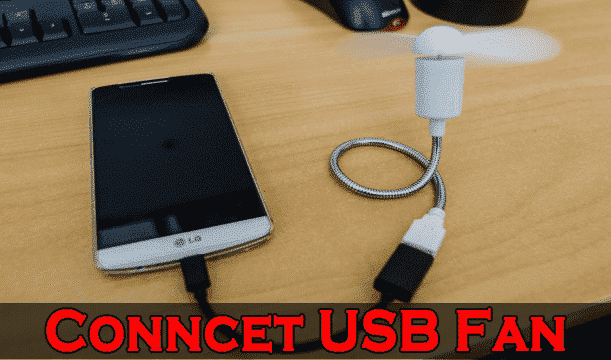 Connect USB Lan Connector to USB OTG and OTG Cable to Your Android Device. You don’t have to download any external app from play store, just plug your LAN connector into OTG and LAN Cable to LAN Connector. Connecting Pen Drive or Portable HDD is the most common use of USB OTG. You can Connect a pen drive or External Hard Disk Drive and take backup of your Android device directly to external drives. Thus, you can free up space from your smartphone. You can also use Pen drive or External HDD to watch movies, play music, view photos, etc. 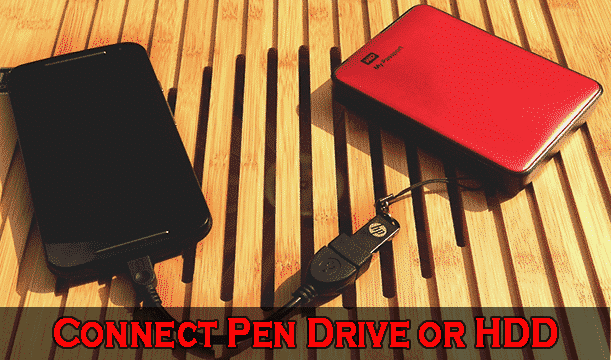 from your pen drive or External HDD on your android device using USB on-the-go Cable. 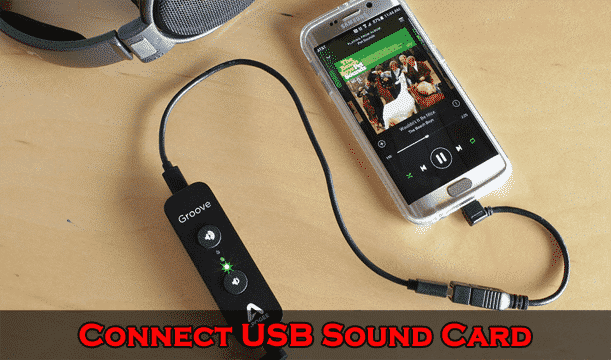 USB Sound Cards are used to connect the speaker, mic, etc to your Android Device using otg. It supports 5.1 channel speakers also. USB Sound Card is very useful while watching HD videos and Playing music on your smartphone. You can connect Android Device to DSLR using USB OTG Cable and Micro USB Cable. You can control your DSLR with the Android Device. First, download DSLR Controller APK from play store to your device. 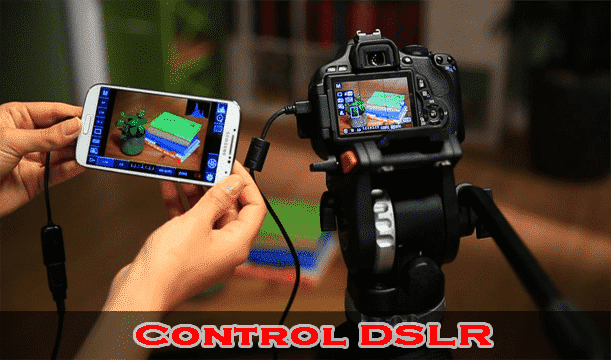 Open DSLR Controller app, connect USB OTG to your device and connect DSLR to the other end of OTG Cable to control screen of DSLR with Android Device. Conditions to use DSLR Controller APP: It’s not free, its cost is $6.99 or ₹550/-. Before buying app check is your DSLR is supported or not from its official website. This is the unique and significant use of OTG. Yes, it’s true! You can charge another Android Device using otg cable. Connect OTG Cable to one Android Device and connect micro USB side of micro USB cable to another device. 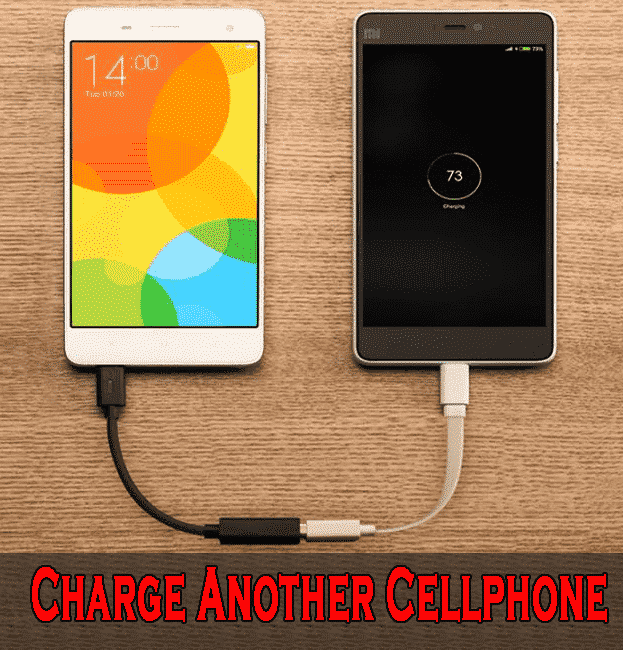 This makes one cellphone a power bank which charges another cell phone. So, these were the top 10 uses of USB OTG Cable. If you know other otg function, please comment below. Does your phone have OTG support? Comment your phone’s model and how you use this cable with your phone? Android Tips and Tricks, Computer and Internet 10 uses of usb otg cable, how to use otg cable, OTG Cable, USB OTG. permalink.